I have been to Old Hough fisheries today in Cheshire for the first round of my winter league with Diggle AC and it was going to take place on lucky dip + prospect , i had only fished these lakes a couple of times before and that was around this time last year so i was really looking forward to catching up with the other lads , during the week leading up to the contest i messaged a few people to try to get a heads up on how it was fishing plus what tactics + bait was working . 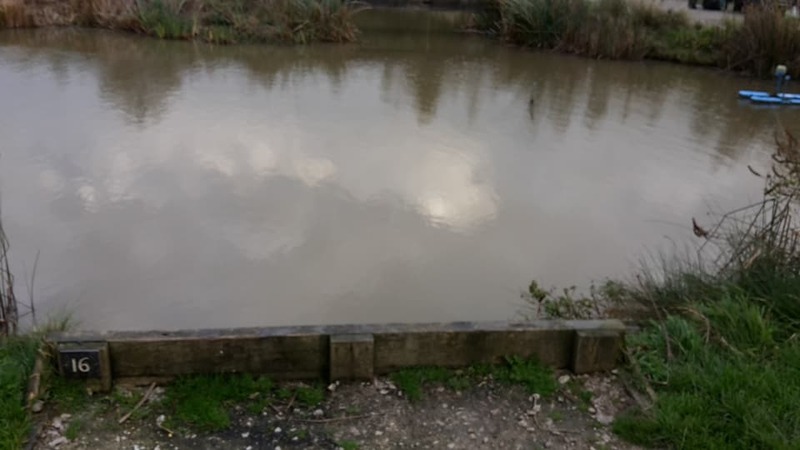 After arriving at the fishery i had a quick chat with the lads taking part and even though storm Brian was still crashing about but luckily the surrounding trees provided a bit of cover from the elements , at the draw I somehow managed to pull out my usual end peg this time it was 16 on lucky dip although to be honest all the recent good weights had come from the middle of the straits , so i was a bit unsure on what to expect from my peg but at least i didn’t have far to walk because it was right at the side of the car park . 3ft rig for on the top of the far shelf at the side of some over hanging reeds and along my right hand margin so with the conditions being a bit on the rough side , i used a 0.4 Md diamond float with an inch spread bulk above my four-inch 012 garbo hook length and my hook was a size 16 Lwg . 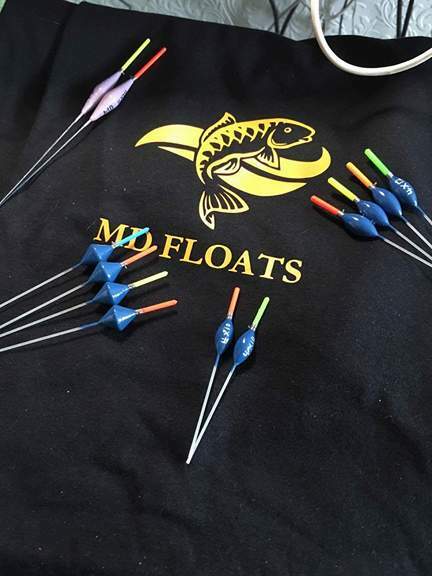 Top three swim at the bottom of the near slope in 5ft and i used a 4×12 Md maggot float which had a staggered bulk shotting pattern spread along the bottom half of my rig and i used a six-inch 012 garbo hook length . 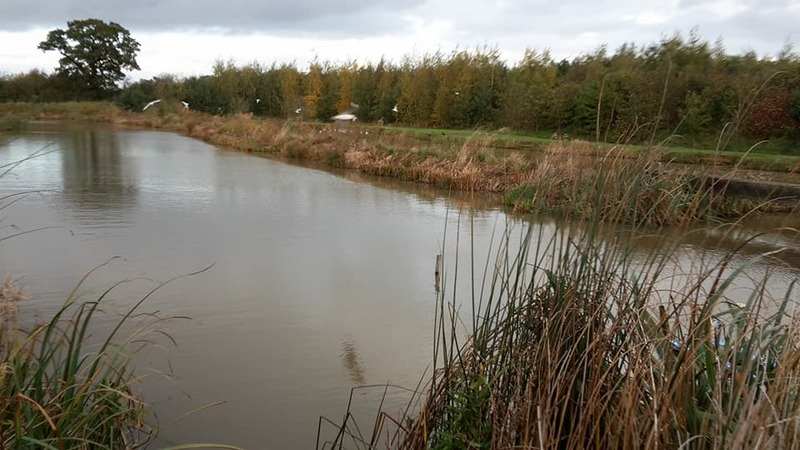 Six meter channel swim towards my left and also at the side of the aerator on my right , it was nearly 6ft deep here so i used a 4×14 Md maggot float with a bulk plus two dropper shotting pattern and my hook was a size 16 Lwg . When the all in sounded this I started my match across to the far bank about a foot away from the cover and i began kinder potting in a few 4mm pellets+corn , it didn’t take to long before my first fish hit the net which was a mirror around the three-pound mark and in the first hour I managed 15lb of small carp if it carried on like this i could be on for a nice weight . It was just my luck when the wind turned blowing from left to right and I couldn’t present my rig properly across , so I began feeding my track swim with pellets + corn which was a bit sooner than i would have liked and it only took about twenty minutes before I began picking up a few carp and then I heard a crash behind me the rollers had blown over cracking my 11m section. 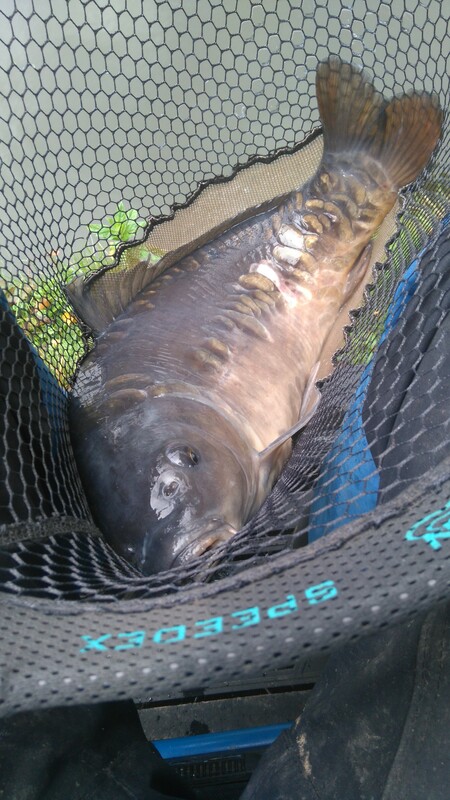 This cut down my options some what i concentrated my efforts on my left hand channel swim and i was getting plenty of indications but i was finding it hard to connect with them , i even had a run of losing three fish at the net which was a bit frustrating . After changing a few things i finally began putting the odd fish in the net and i changed to feeding half a cupping kit full of corn+pellets this initially killed my swim but after twenty minutes i had a brace of decent sized carp , so i needed somewhere to rest it and i went down my right hand margin where it was sheltered from the strengthening wind i began by taking it a bit easy with the feed tapping in some corn+pellets until i knew what response i would get , after about five minutes i had my first fish from the swim which was a small barbel and i had a good run catching a mixture of fish . Every thirty minutes i would go back onto my channel swim and pick up a couple of quick carp before i needed to re feed , so i went back on my right hand margin and caught a few more but towards the last hour my bites began to tail off and as i couldn’t add-on another section to follow them along the margin , so i decided to put in half a cupping kit full of feed in to try to draw them back into the swim but this had the opposite effect as it killed my swim dead and for the rest of the match i sat it out on my channel swim catching next to nothing , strangely my top three swim never produced a bite all match and neither did my swim at the side of the aerator. At the all out i had 45lb on my clicker and after packing up i caught up with the scales with 49lb being in the lead , when they arrived at my peg i was last to weigh in and my two nets went 58lb which was enough to win my lake and also second in the match, apart from me all the other framing weights came from the middle of the straits which was what i expected given my recent information so all in all it was a good start to the winter league. I am back there for round two on boulders + goose next Sunday but before that its the last round of the teams of three at Cunneries fishery so fingers crossed I can keep my good run going. 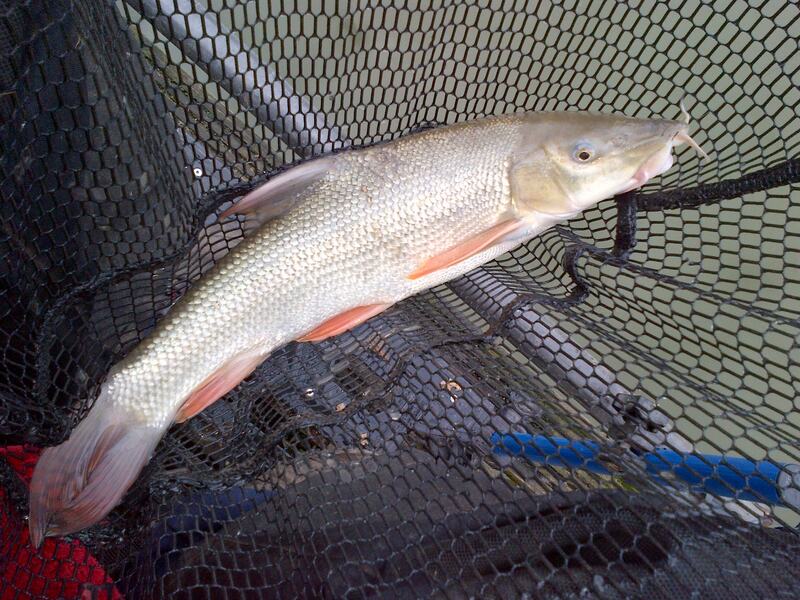 This entry was posted in Old hough fishery, old hough winter league, old hough winter league 2018 and tagged corn fishing, cunneries fishery, lucky dip lake, Old hough fishery. Bookmark the permalink.